So far, he is the surprise of the 2011 DTM season. With his 2008-spec Audi A4 DTM, Martin Tomczyk again outpaced the competition and a fortnight after his victory in Spielberg, he also won at the Lausitzring. Brandenburg’s prime minister Matthias Platzeck presented the new points’ leader with the winner’s trophy. “My car was incredibly fast. Driving it was great fun. Finally, after six winless years, we have defeated the Lausitzring’s demon. Being the points’ leader feels really great”, said Tomczyk after the sixth DTM race win in his career. The German, who had started from fourth place on the grid, showed a dominant and faultless performance. Tomczyk’s fellow Audi driver Timo Scheider, the 2008 and 2009 DTM champion, completed the 1-2 for Audi with a strategic masterpiece with two very late pit stops. Scheider had started from ninth place into the 52 lap race with a total distance of 180.856 kilometres and gradually worked his way up the field. Bruno Spengler was the best-placed Mercedes-Benz driver at Lausitz. The Canadian started from pole position, but failed to defend his top position and was classified third in the fourth round of the season. “Of course, I would rather have won, but one can never be really disappointed after a podium finish. In motorsport, you have days that aren’t easy. Martin and Timo have done a great job. At the Norisring, it can look differently already”, said Spengler. With a total of 29 points, only one point down on Tomczyk, Spengler has now taken over runner-up position in the battle for the title. Briton Gary Paffett (Mercedes-Benz) finished fourth ahead of his Audi rival and compatriot Oliver Jarvis. The latter was involved in a battle with British driver Jamie Green for many laps and eventually finished ahead of the Mercedes-Benz driver in sixth place. Audi driver Tom Kristensen from Denmark, who stood in for Mike Rockenfeller after the latter’s accident in the Le Mans 24 Hours, felt really well during his DTM comeback and defended his seventh position on the starting grid until the finish line. Once again, Mattias Ekström was disappointed after the race. The Swede started the race from third place, but lost valuable places due to problems with the tyre pressure and during the pit stop and was classified eleventh. Ralf Schumacher started 17th with his AMG Mercedes C-Class and ended his race in twelfth place. A total of 63,000 fans got to see an action-packed DTM race weekend with great duels and numerous overtaking manoeuvres. In the points’ standings, Tomczyk and Spengler are followed by Scheider with 19 points and Rockenfeller with 14 points. 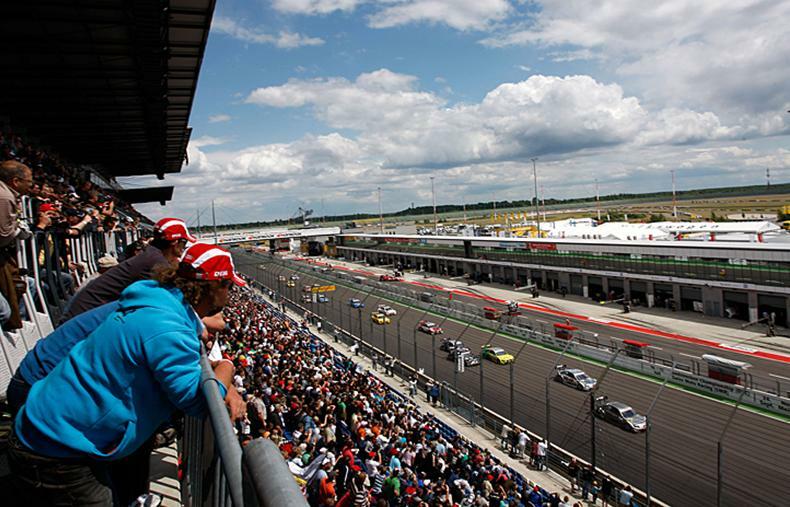 The fifth DTM race weekend of the season takes place from July 1st till 3rd at the Norisring in Nuremberg.